Happy New Year everyone! 2018 didn’t end quite as planned, in fact I missed most of December due to a nasty cold. However, as soon as January 1st arrived, I was right back on the training wagon. The first race of the year was coming soon after all. 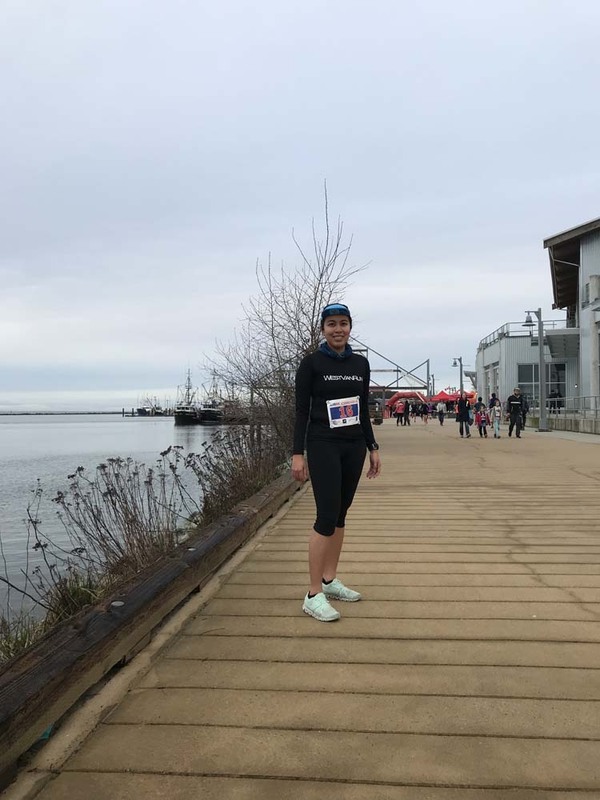 It was my second crack at the Steveston Icebreaker 8k and I’ve been pretty excited about it since signing up months ago. Last year, the wind made a huge difference in the Steveston Icebreaker. We were confronted with a very strong headwind on the way out and an equally fierce tailwind on the way back. You can just imagine everyone’s negative splits. You can read all about that race here but keep reading to see how 2019’s race fared. It was definitely an improvement. No matter how many races I do, the mornings are always the same… miss an alarm so you wake up a bit late, rush to do everything, and you’re not motivated to race. Thankfully, the morning was quite chill thanks to Bradley. He picked me up and we just chatted all the way to the race. He, too, was feeling the same way I was which made me feel better. 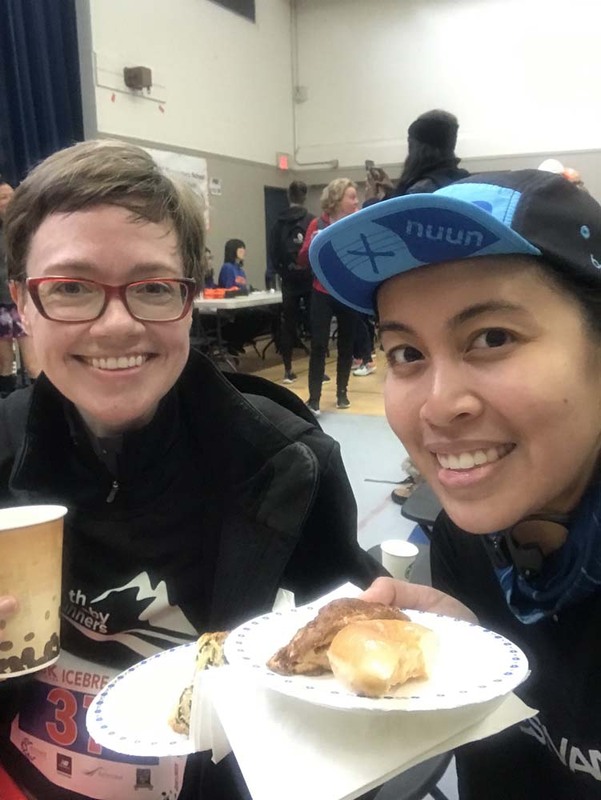 We found fellow West Van Run teammate Samantha and we ran a bit to warm up. Soon enough we were all huddled together with hundreds of runners at the start line. I brought an Endurance Tap to give me some energy and I just wanted to see how I’d do. No expectations were set and my only strategy was to maintain an average pace less than 6:00/km. That would ensure me a personal best. I started off pretty fast, as we all do, and felt pretty good. Soon enough I was getting passed by some of my speedy friends like May and Brie. That’s ok! I did what I could and I was still ahead of pace. On the way back, my pace faltered a bit. I also noticed that the course is a little longer (about 170 meters longer according to my Garmin). Others recorded the same thing. I ended up relying on the race kilometre markers. 8k’s are so great though. Once you hit the 6k mark, you’re in the home stretch and you can start pushing a bit harder. The weather was perfect, if not a little chilly at times. There was no wind this year so maintaining the right pace was a lot easier to control. I managed to rally myself and end with a faster pace to nab my PB. I don’t know how it always happens but I tend to end up running alone towards the finish. Thankfully Shannon was there to take my photo so I hope I looked like I wasn’t dying haha. I got a 47:06 time, almost a 2 minute improvement from last year. Pretty happy with that for only 19 days of training. 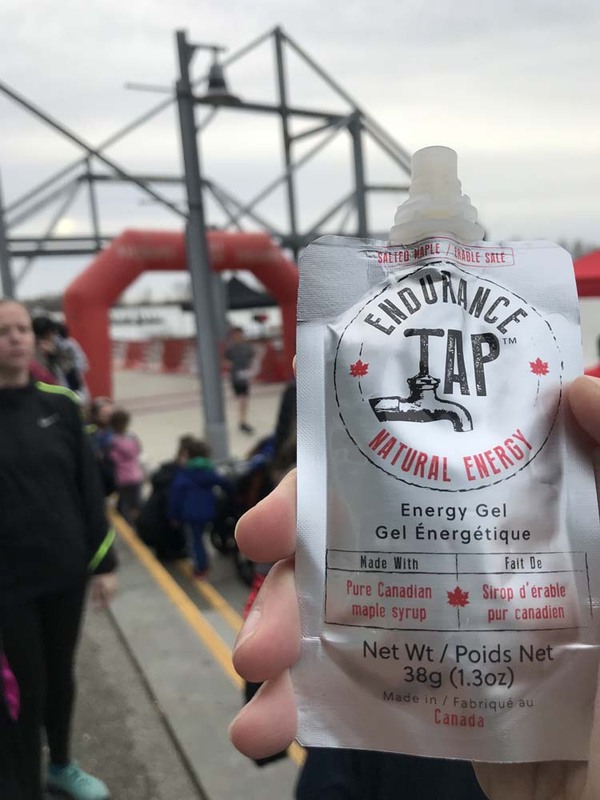 Thanks for the Post-Race Snacks! 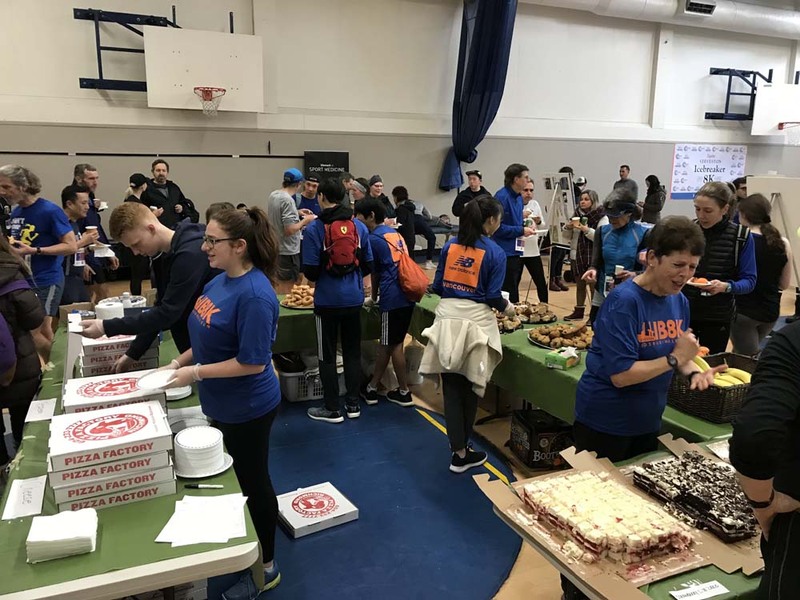 Thanks Kajaks for the amazing spread of pizza, bagels, scones, cake, Krispy Kreme donuts and so much more! I went for the scone and half a donut. It was a well-deserved treat after a great run. I heard that the pizza ran out though. If there were any left, I would’ve gotten a slice too. All in all, it was a very successful first race of the year. 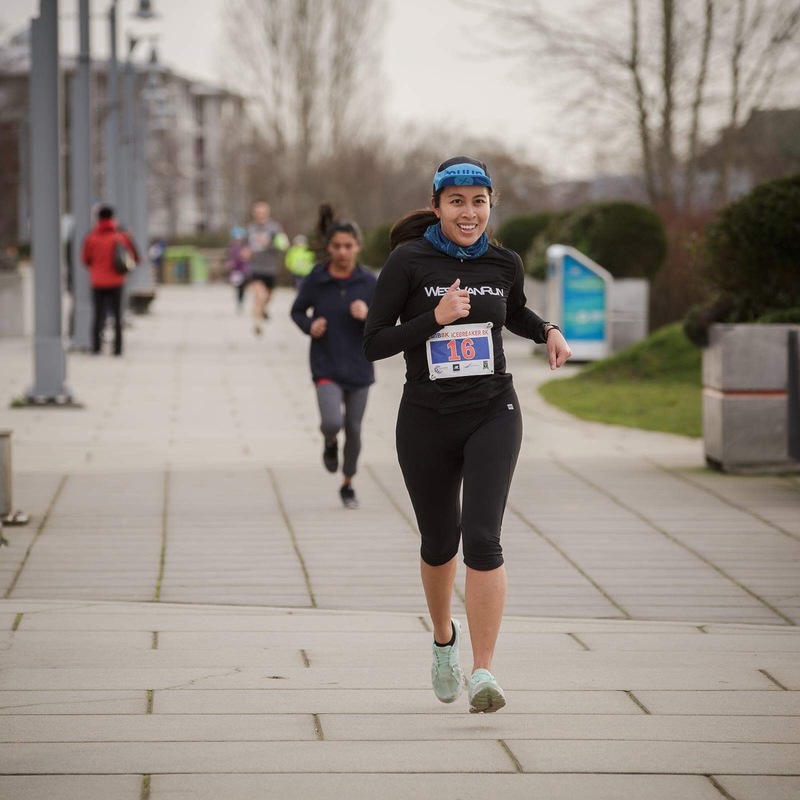 The next race for us is the RunGo Dash for Dogs in February and then the West Van Run doubleheader on March 2 and 3. 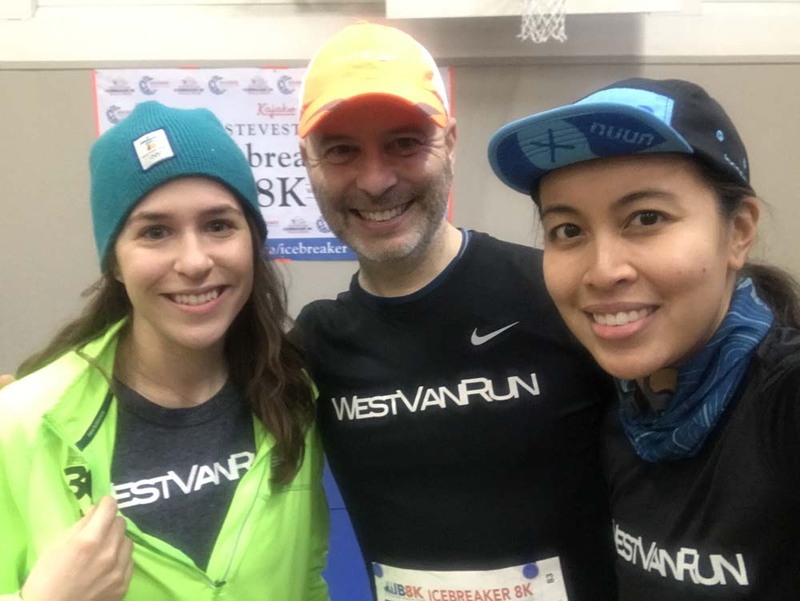 To get a discount to West Van Run, just use my code JEANNINE when you register. Happy training everyone! Yay! Thanks for helping make it such a great day! Awesome report. Love the finish line photo – Shannon knows how to make us look good, hey?